Author’s Note: This article is meant only as an introduction into search marketing and is the first of a series on Internet marketing. Please check back weekly for updates. The terms capitalized and noted with an asterisk (*) have been defined at the bottom of the article for the reader’s convenience. It is highly suggested that readers continue their research at length, confine themselves to a small budget or seek professional assistance before beginning any SEM campaign(s). Search Engine Marketing (SEM) is arguably the most powerful marketing tool for any business. It is the method used to derive the highest quality of traffic on the Web. 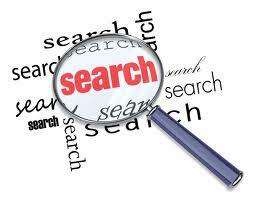 But, because the best traffic comes from search engines, the world of SEM is highly competitive. Businesses battle one another every day to establish a dominant Web presence and to claim the valuable streams of search traffic for their own. Some wage a war of arbitrage through strategic paid listings on the major search engines. This is known as Paid Per Click or PPC marketing. Other businesses might focus their efforts to achieve a high Organic Ranking* on Google, Yahoo or Bing. This is known as SEO or Search Engine Optimization. Some businesses take the holistic approach and combine these efforts. This would be a complete SEM campaign. SEO is the acronym that stands for search engine optimization and refers to the various efforts involved with ranking a website well on a search engine’s organic listings. Just as the aesthetics and functionality of a website markets to the eye of a human, the Coding*, Content* and Reach* of a website markets to the digital eye of the search engines. Crawlers, Spiders or Robots* from each search engine are constantly Crawling* each website on the Internet, endlessly trying to determine what that website is about and relevant to. The more Google, Yahoo or Bing rate a site relevant to a search query, the higher a site will rank for that specific search query. In general, SEO is broken-up into two parts: On-page optimization and Off-page optimization. On-page optimization is related to anything done local to the website that is meant to improve the page’s rank. This would include tweaks in coding (header tags, image names, title tags, meta tags…) as well as the addition of any new pages or changes to content. Off-page optimization refers to all things done off a website to improve its rank. This is principally done through a series of techniques to entice other relevant websites to link into the website that is being optimized. Also known as a backlinking campaign, this includes: Web directory submissions, blogs, forum posts, social media, press releases, etc. If successful, the site will begin to receive inbound links and a secondary effort will be made to ensure the referring links are refined to be Keyword* specific. But, before any of this can begin, an analysis must be done to figure out what keywords will be targeted. All optimization campaigns must start with an in-depth keyword analysis to target relevant traffic for the site being optimized. An extensive review of a company’s business model and the target demographics of its clientele are essential for selecting the proper keywords to be researched. Keyword research is done through a series of steps often beginning at Google Adwords* or Bing Ads*. Each Ad Platform offers a treasure trove of statistics and insight into a keyword’s estimated traffic, the competitiveness for rankings and even suggests alternative keywords to target. Additional steps are also taken to review competing websites, what backlinks those sites have, and how best compete against them or possibly around them. Pay Per Click advertising (PPC) is another form of search traffic that, while still outstanding, is considered of slightly less quality than organic search traffic. Though it requires paying a search engine for a favorable listing position with the cost tallied for each unique click your site receives through that listing, it can be an excellent way of circumventing the competition’s entrenched organic rankings as well as providing instantaneous traffic relief for a website. Where an SEO campaign can take three to six months for traction to take hold, a PPC campaign can deliver traffic within moments of going live. PPC traffic is easily identified as the listings on the far right column of a Search Engine Result Page* (SERP) as well as the first few listings with a lightly shaded background in the center column. The cost of a targeted keyword is determined by the competitiveness, frequency and desired positioning related to that keyword. As these determining metrics vary daily, so too does the cost of PPC traffic on a related keyword. It is for that reason that PPC campaigns must be monitored daily to avoid an extended negative ROI. Well, that about sums it up. Be sure to check back for more articles every week. Email chris@capiscomarketing.com if there are any specific subjects you would like treated and we’ll try to address them in our blog series or email you back directly. Thanks for reading! Organic Ranking: The non-paid ordinal SERP listing based upon a website’s relevancy to the specific search term queried Coding: All programming that allows a website to function (HTML, CSS, C++, Python…) Content: Images, video, written copy; all media that might engage the visitor of a website Reach (website): Reach refers to a website’s ripple effect on the Internet; reposts of content, discussions about a website or its products, backlinking, 3rd party sharing of information, are all aspects of a site’s reach. Crawlers, Spiders and Robots: Terms for search engine computers used to scan websites for indexing Keyword: A single word or phrase targeted for search traffic Google Adwords / Bing Ads: Search Engine Ad Platforms used to buy Search or Display traffic Search Engine Results Page (SERP): The page displayed on a search engine after a search query has been entered.